Raised in Przemyśl, a small rural town in the low mountains of Poland, Inga K. Serafin read Pedagogy of Special Education in Krakow. 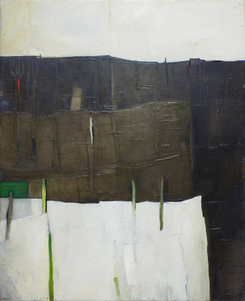 It was during this this time in Krakow that Inga started to paint, inspired by the patchwork of fields she witnessed when travelling on the suburban rail network, her work began to focus on the spatial relationships and mise-en-scene of abstract landscapes. In 1991, Inga relocated to Melbourne where she raised her family, working casually but persisted to find time for painting. Inga’s work was heavily influenced by the contrasting elements of the Australian landscape. The yellow-green complexion of Inga’s early acrylic work was soon replaced by an earthy burnt haze, whilst the vast open space of the outback translated to larger oil paintings on increasingly bigger canvases with sparse use of colour. 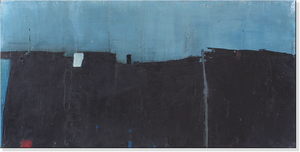 Through the late nineties, until 2005 elements of urban landscape begin to feature in Inga’s work. Perspective began to change from one part of the canvas to another, creating a variety of different visual environments embedded within a single painting. Travel to Europe, alongside more frequent visits to the vast, absorbing, Australian countryside, inspired more open and monochromatic paintings. Infused with new inspiration, her work continues to be absorbed by colour and uses it to emphasise depth and composition. 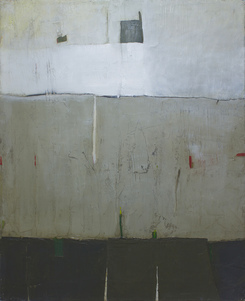 From 2001 until 2015 Inga worked full time as a special needs teacher and painted daily, preparing a last exhibition in the Swan Street Studios, Melbourne before relocating to London where she continues to teach and paint. I paint for me; I paint what I see, how I understand life. I run away to the big open canvas to dream…. absorbed by the colours and textures, getting lost in the vast and beautiful landscape of “my Australia”.